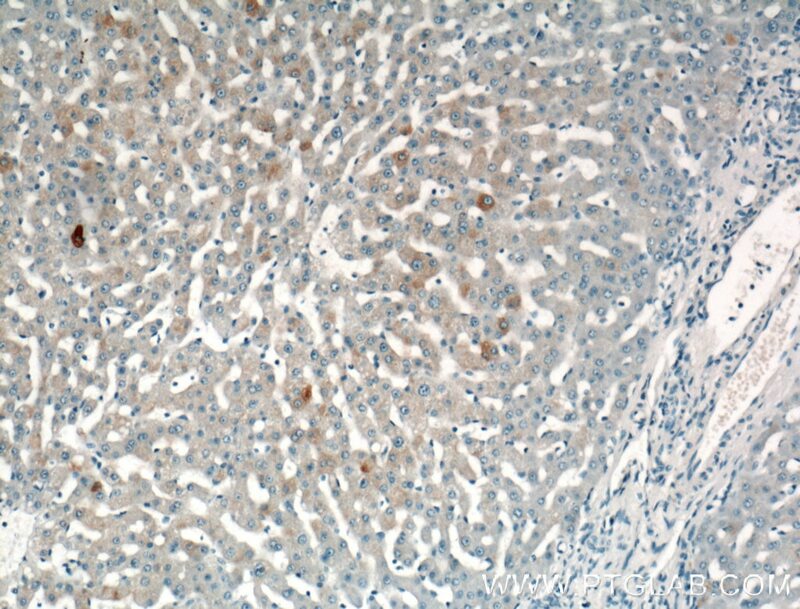 Immunohistochemical analysis of paraffin-embedded human liver tissue slide using 16555-1-AP( SPG11 Antibody) at dilution of 1:200 (under 10x lens). 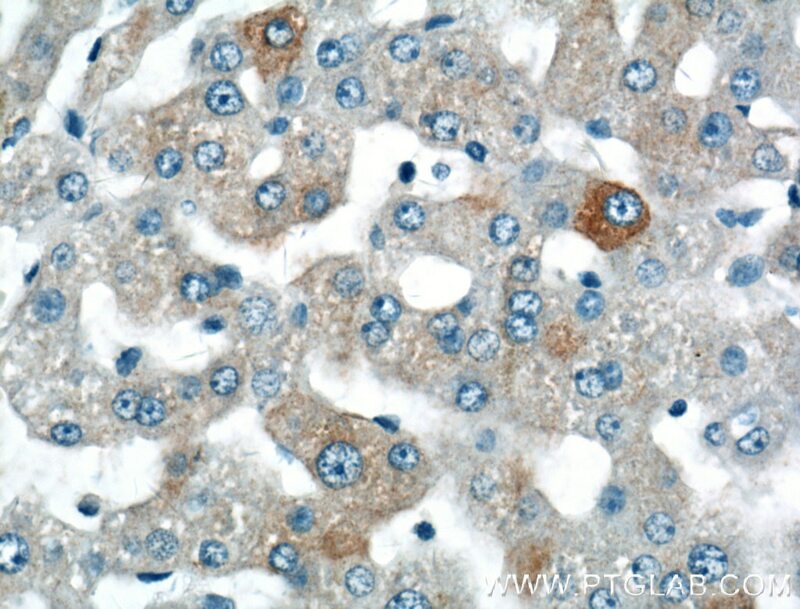 Immunohistochemical analysis of paraffin-embedded human liver tissue slide using 16555-1-AP( SPG11 Antibody) at dilution of 1:200 (under 40x lens). Loss of spatacsin function alters lysosomal lipid clearance leading to upper and lower motor neuron degeneration. A hereditary spastic paraplegia mouse model supports a role of ZFYVE26/SPASTIZIN for the endolysosomal system.